Posted in: Radio Control. Tagged: New Releases, RC. Ever hear of Unbelievable RC? It is a fun site which offers some different gimmick products for RC Enthusiasts. 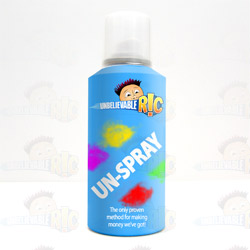 An example of one of their products is UN-Spray. ← New Season. New Body?